I’m working on this Elizabethan styled cosplay. Together with Sara Cosplays, we’re going to be Anna and Elsa – she’s Elsa. Anyway, these cosplays are something of a cluster of new techniques I’m having to research, learn, and use in the creation. I got it into my big silly brain to make a snood for each of us. Because the ones that are sold online are the vintage style from the 1940’s – that’s not really going to cut it. RenFest isn’t until after we need them either. Not realizing what I’ve gotten myself into, I take to the internet, find a tutorial and run with it. Screaming, crying, and cursing! 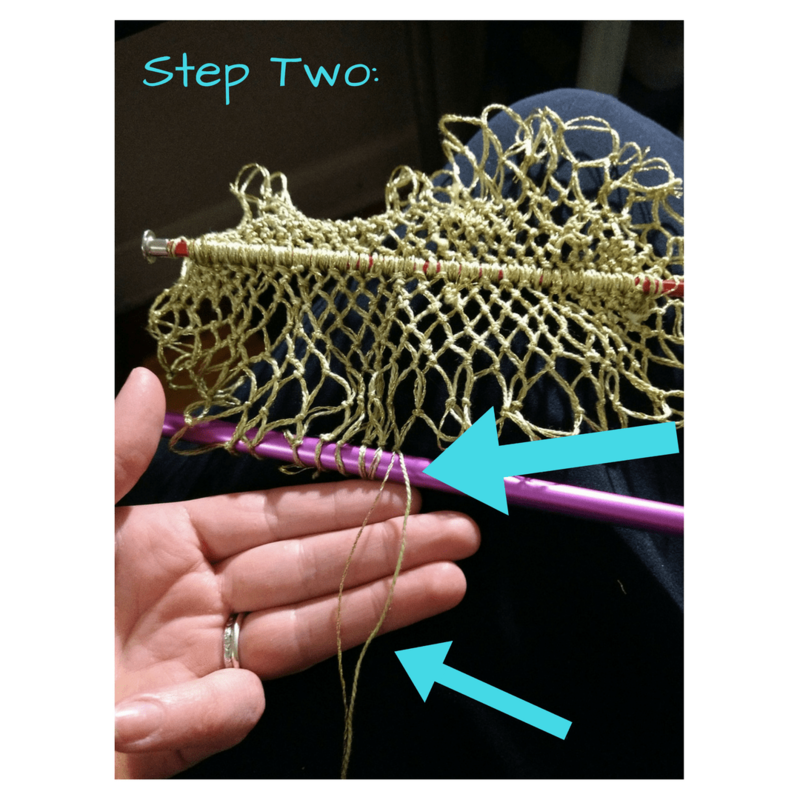 Seriously, I am not a netter (I’m a knitter), I don’t have a set-up to do it, I don’t even have a netting needle let alone know the vocabulary or basics. I am determined though, and now here’s a very basic tutorial of the “Sheet Bend Knot” that took me 30 minutes to learn. DMC Pearl Cotton Sz. 5 and DMC Metallic Embroidery Floss. Start with your thread in front of the gauge (this is a metal knitting needle, size 16). Lay it down across your hand. Simple yes? Cool – wait for it. Keep the thread in front of the gauge. Notice, my pinky folded under? Do that. Make the thread go between your pinky and your ring finger. Bring that thread BEHIND your hand. Now put it BEHIND your gauge. Now put it on TOP of your work. Tighten the thread around your ring finger. 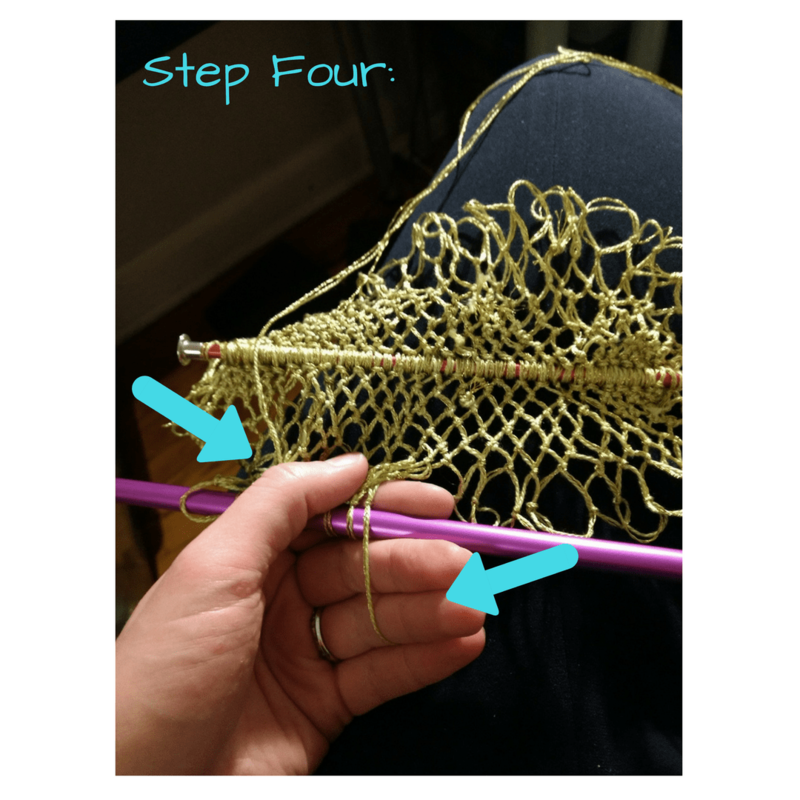 Put your thumb on the thread you put on top of your work. Hold the thread there and out of the way. Keep holding the thread with your thumb. 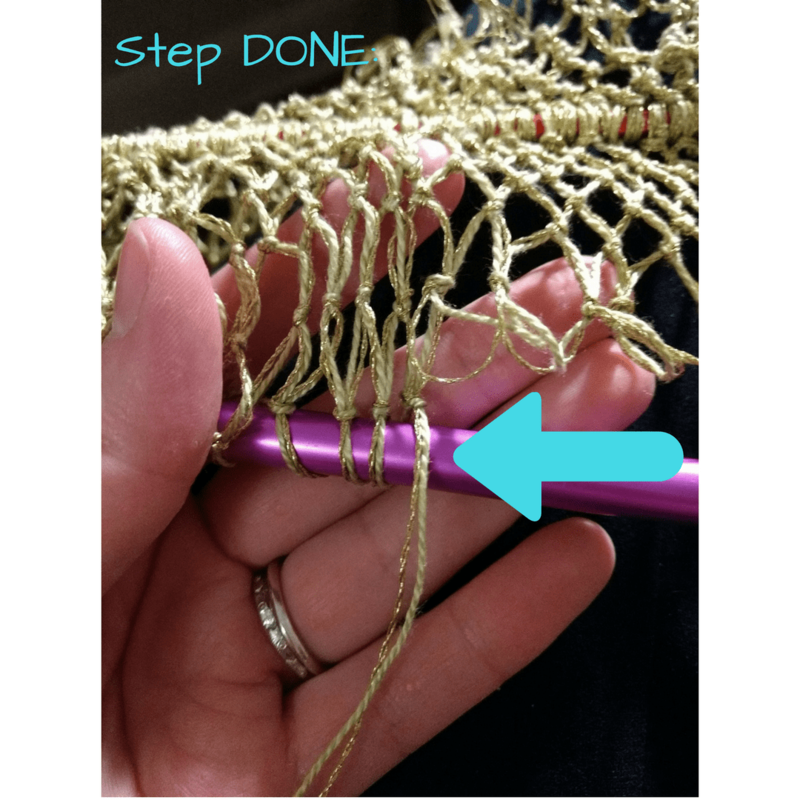 Bring the thread around in a big arch OVER your work. Pull the thread UNDER your gauge. Keep holding the thread down with your thumb. Bring the needle up (from BEHIND the gauge) into your hand. 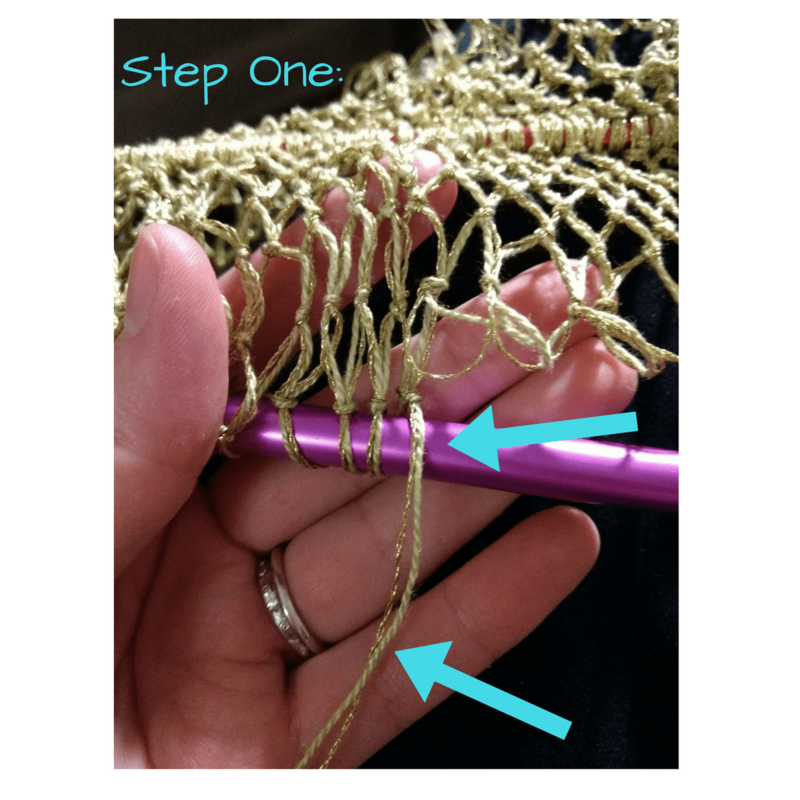 Pass the needle UNDER the thread looped around your ring finger. Keep holding with your thumb. 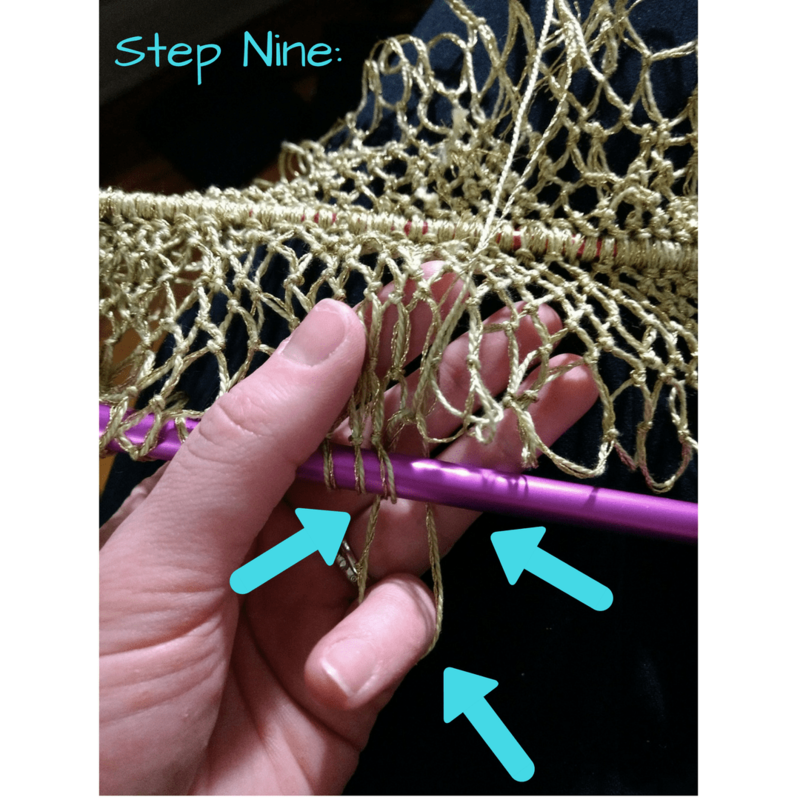 Continue the needle UNDER the loop around your ring finger. THROUGH the next net from BEHIND (notice the thumb thread is behind the needle and not in this, keep it that way). LET GO OF THE THUMB THREAD!!! YAY!!! 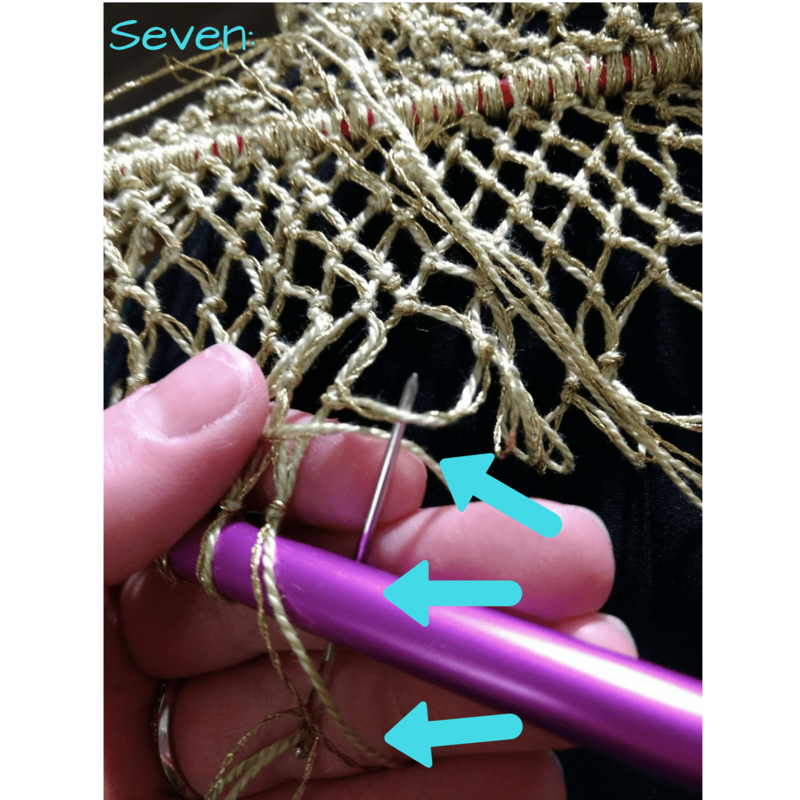 Pull the thread through the net and keep the thread ABOVE the loop that was created with the thumb thread. Keep your pinky looped as you pull through. Keep your ring finger looped as well. LET GO OF THE RING FINGER LOOP!!! Note: The ENTIRE loop should now be BEHIND the gauge. Keep tightening until your pinky doesn’t fit, and then release it too. Pull that thing super tight, it’s a knot after all. Then lay the thread in front of the gauge for your next Sheet Bend Knot. 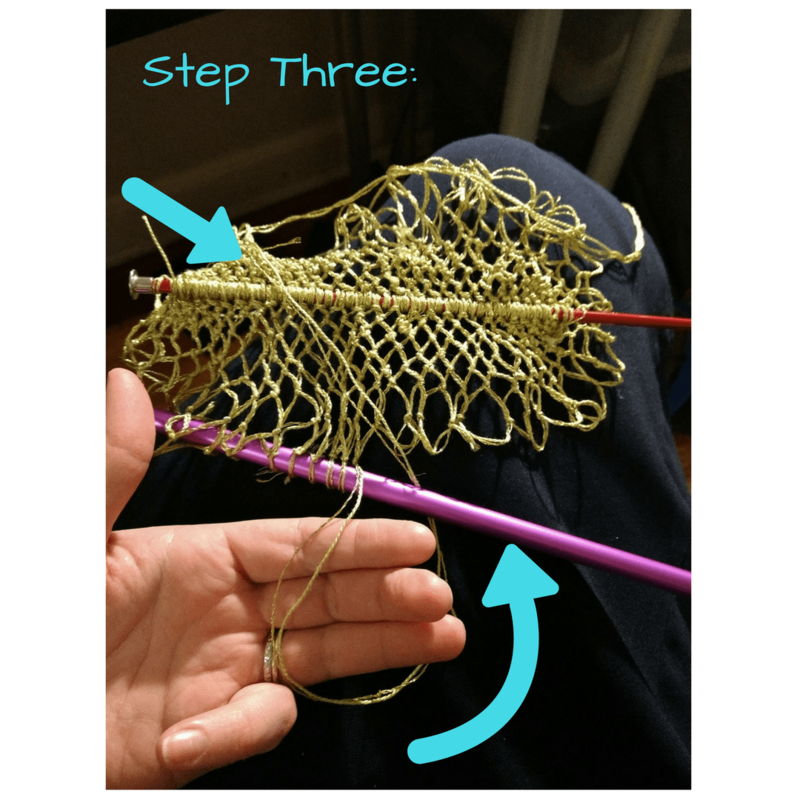 Notes: try to keep the tension consistent like in knitting and be careful to place the knot at the center of the loop you are netting for evenness.